Star Trek hit the nail on the head when they portrayed every crew member with their own personal communicator. 30 years into the future, few people are without their cell phones and the great majority of them use them for everything from phone calls to email to browsing. This makes it imperative that a company fast forward into the 21st century and go mobile. But is your business ready for it? A recent poll suggests that 61% of all small businesses are not currently on a mobile platform. With the number of internet users striking 129.7 million in 2013, this equates to a server’s worth of lost opportunities. If you’ve gone through the checklist and answered yes to most questions, your website is likely mobile friendly and you’re headed in the right direction. If not, it may be time to upgrade. Surfing the web on a mobile phone is an accepted standard. People are no longer surprised when they find a company that has a mobile site, because they expect every company to have one. 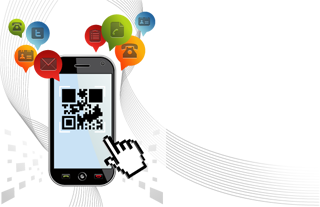 In fact, research done by Compuware states that 71% of users expect a company to have a mobile site. Having a mobile site means that at any time, from anywhere, customers can interact with your website, find solutions to problems and contact the company if need be. This accessibility goes a long way in providing customer satisfaction. Not only will it provide a better customer experience, it can attract a huge untapped network of users you may not currently have. With 129.7 million users being connected to the internet, how many of those won’t even notice your company or pass it up for another simply because you don’t have a mobile website. These mobile trends aren’t about to slow down. We are moving into an age where our online experiences are becoming more streamlined. The general public is expecting more and more to move from each platform – smartphone, tablet, pc, laptop – seamlessly, and there are companies out there who are providing it with great results. 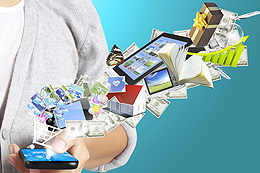 Visit this site to see exactly what the future forecast for mobile technology in 2013 is. Mobile sites are the wave of the future, so get out there and surf or you’ll find yourself lost in the wake.